This is a review. This is not a review. This is not a review in the traditional sense, where I analyze the game play, graphics, plot and so on so forth simply because there is none. The entire ‘game’ is one large plot. There is no end, and neither is there any beginning. The game, if ‘played’ properly will not only make you question your own sanity but also lead you to question the reality of the world around you and the meaning of reality itself. It is a story about a man named Stanley; employee 427 who had a job of pushing buttons according to instructions on a screen. It was a job he was happy with but one day, the commands stopped coming: all his co-workers disappeared. Stanley decided to go out and investigate. 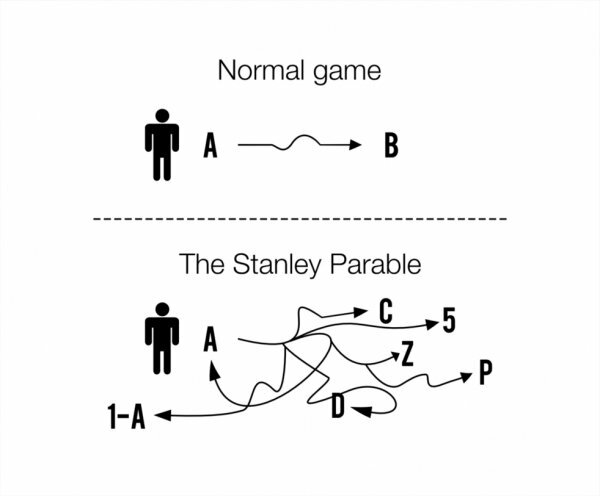 It is at this point, the ‘game’ puts the player in control of Stanley. Since the ‘game’ is based on the source engine and indeed started out as a half-life mod, it plays out from the same first person perspective as the rest of the source games, but here the similarities end. There is no action of any kind; other than moving around and pushing buttons of course. The graphics are reminiscent of Portal in the sense that all environments seem to be compartmentalized, indoor scenes and while they look decent, it won’t make your jaw drop from sheer awesomeness. All the while, there is omniscient narration, like GLADOS in portal or SHODAN in System Shock. The narrator tells you to follow a particular path as if it has already happened, suppose, by saying “At this point, Stanley walked through the door on the left”. Pretty soon, you realize you can completely disregard the narrator and go off into a completely different direction than the narrator intended and this is where the ‘game’ truly shines. Anything that you can imagine doing, odds are the developers have already thought of it and added suitable narration. Mundane things, like staying inside a broom closet with no interact-able objects will eventually make the narrator think you have died. Even doing nothing can trigger an ending. The personality of the narrator also changes as you follow, or disregard him, turning from helpful and encouraging into antagonistic. There are even cameo parts from Portal and Mine Craft. 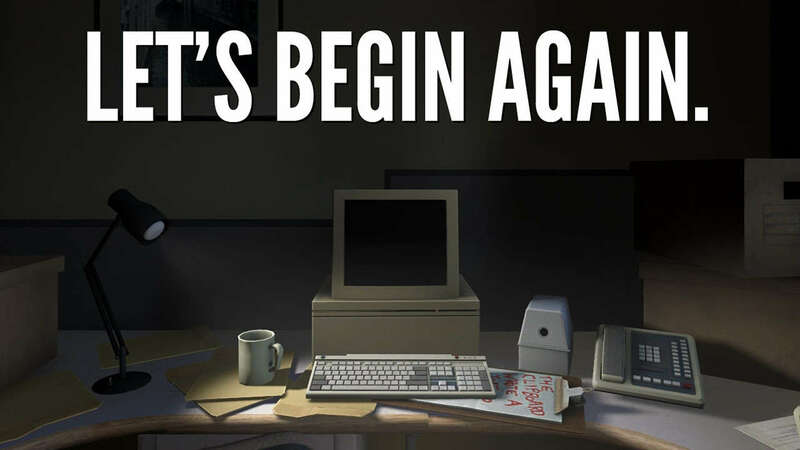 This is the first ‘game’ in a long time that managed to really scare me. I felt vulnerable because I had nothing to fight back with. I had no information. I didn’t even know whether my only source of information (the narrator) was lying to me or not. Do I really have choice? Even in the ‘real world’? Or is it just a pre-determined ending? How do I know that the narrator isn’t just using reverse psychology? Maybe the only way to really show you have choice is to end it all. Or maybe, that’s what you are supposed to do all along. There is an end. There is no end.